Bought a new phone with either Snapdragon 625 or 820 or planning to buy one? Well, the comparison of Snapdragon 625 vs 820 will certainly help you in choosing the right phone. Also, it will help you to analyze and judge your current phone’s performance, power efficiency, and other major aspects. If we talk about the main difference, Snapdragon 820 belongs to the 8xx series which is the flagship series by Qualcomm while the 625 belongs to the 6xx series and that is the mid-budget series of Qualcomm. In Q2 2016, Snapdragon 625 was announced while the Snapdragon 820 was launched in Q4 2015. Both these SOCs are approximately a year old. Before beginning with the comparison of Snapdragon 625 vs 820, we will look at the specifications first in detail and then we’ll compare them. Both Snapdragon 820 and 625 are manufactured using the 14nm FinFET Process. Snapdragon has 8 ARM Cortex-A53 Cores while the Snapdragon 820 has 4 Kryo Cores. Kryo Cores are customized cores by Qualcomm and are more powerful than the Cortext-A53 Cores. If you’re looking for a Snapdragon 625 vs 821 comparisons, you can still follow this article as the Snapdragon 820 and 821 has a lot in common. In short, you can say that the Snapdragon 821 is a slightly improved version of Snapdragon 820. The difference basically lies in clock speeds and minor improvements in the architecture. Let’s have a detailed look at the specifications of both Snapdragon 625 and 820. 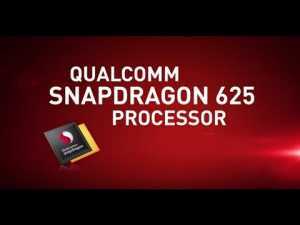 The Qualcomm Snapdragon 625 is a mid-ranged SOC that was announced on 11th February 2016. Qualcomm manufactured Snapdragon 625 using Samsung’s 14nm FinFET Process. It was the first Processor of the Qualcomm 600 series which was manufactured using the 14nm process.It is an Octa-Core CPU with 8 ARM Cortex A53 cores clocked at 2.0 GHz. The A53 cores aren’t the most powerful ones but they are decent and can perform pretty much every intensive task. The 14nm manufacturing process is the highlight of Snapdragon 625 which makes it ultra power efficient and ensures that the processor doesn’t overheat. Snapdragon 625 has the Adreno 506 GPU and X9 LTE Modem. It also supports Qualcomm Quickcharge 3.0. Snapdragon 820 is a flagship processor by Qualcomm and one of the most powerful members of Snapdragon 800 series. In July 2015, Qualcomm announced the Snapdragon 820. Most of the flagship phones of 2016 are running on the Snapdragon 820. 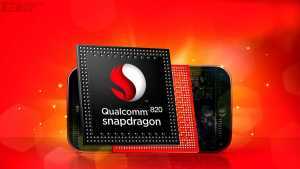 Qualcomm also announced an improved version of 820 and named it Snapdragon 821. In July 2016, Snapdragon 821 arrived in the market as a replacement for Snapdragon 820. 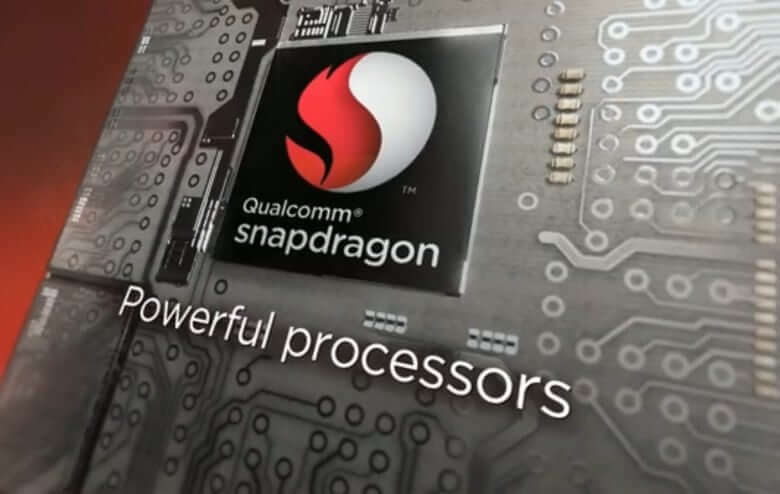 Snapdragon 821 took over the flagship processor market very soon. Snapdragon 820 also uses the Samsung’s 14nm FinFET process. It has 4 Kryo cores that go up to 2.15 GHz. Snapdragon 820 has the Adreno 530 GPU which is one of the most powerful Mobile GPU. Qualcomm Snapdragon has X12 LTE Modem and it also has Quickcharge 3.0 support. That’s all for the Snapdragon 625 vs 820 comparisons. Don’t forget to subscribe us for more such comparisons. Here’s a list of Snapdragon 625 and 820 phones to help you select one. You can follow this video for the Speed Test, Benchmarks, and the Gaming Performance comparison between Snapdragon 820 and 625. In this video, the two devices that are used are the Lenovo ZUK Z2 which runs on the Snapdragon 820 while the other one is Redmi 4 Pro which is powered by the Snapdragon 625. Both the devices do really well in the real world gaming performance but in the Benchmark Score, the Snapdragon 820 is almost 2.5x faster that the Snapdragon 625. If gaming is a priority, the Snapdragon 820 should be the obvious choice but the Snapdragon 625 can also handle all the games pretty well. The difference we notice on the paper (specifications) can always be compensated if the real-world performance is too good and that is true for Snapdragon 625. Let’s look at all the products that are running on Snapdragon 625 & 820 Processor. Not all phones on this list are recommended by us. If you want to choose a Snapdragon 625 device, then I’ll recommend you Xiaomi Redmi Note 4 and Moto G5 Plus. But if you want to purchase a Snapdragon 820 device, then I’ll suggest you the Samsung Galaxy S7, Xiaomi Mi5 and the OnePlus 3. So, after going through all the discussions, it is quite clear that Snapdragon 820 is in fact far better than the Snapdragon 625. However, the processor is not always the only criteria to judge a smartphone’s performance. You should also have a look at the phone’s brand, reviews, other specifications and build quality. Also, do check out the comparison between Qualcomm Snapdragon 430 and 625. You can also have a look at the comparison between Qualcomm Snapdragon 625, 652 and 650. So which one will you opt for? I hope our article helped you in understanding which is better among Snapdragon 625 and 820. May this Snapdragon 625 s 820 comparison help you in choosing the right smartphone. Do subscribe us if you liked our article. In case you have any queries, do reply below and I’ll help you out as soon as I can. Hi, Nubia Z11 Mini S uses the Sony IMX318 sensor while the OnePlus 3T uses the Sony IMX298 sensor. Both the sensors are pretty good but IMX318 has a slight edge over IMX298. Though the camera is slightly better in Nubia Z11 Mini S, I’ll recommend you to go for OnePlus 3T as it is a much better phone overall. Should I purchase Lenevo zuk Z2 plus ,as it has snapdragon 820 ,but Due to poor Ui performance and its negative review on various e-commerce Website ,.Should I go for It ,has I Want this handset for gaming and overall Performance. No doubt the processor of Z2 Plus is great, but before buying a phone, you need to consider all the aspects. There are many issues with that device and this is the reason of those low ratings. At this budget, I would recommend you to go for Redmi Note 4. The Gaming Performance and Battery Performance of Redmi Note 4 are just too good. If the camera is a priority, then you can also consider the Huawei Honor 6X. that’s a great phone as well. Also, before you buy a device, make sure you watch it complete review by Tech Youtubers like C4etech and GeekyRanjit. Hi, Mi 5s is best among all due to its flagship specs. I’ll highly recommend it over the other two. Both Redmi Note 4 and 4X are really excellent phone. The one major difference is the screen size. I personally prefer a 5.5-inch device, so I’ll go with Redmi Note 4X. But if you’re more comfortable with a 5-inch device, then go with Redmi 4X. Thanks. I already use a 3s Prime that is similar in screen size to the Mi 5s. I guess I didn’t want a repeat of Dane size the major appeal though being the flagship quality camera of the Mi. So I sought a trade-off between size and hopefully better camera in considering the Notes 4. I understand the older Helios X20 version of the Note 4 delivers more in terms of speed but since I figure that would relate more to gaming requirements than regular everyday use, I reckon I might as well go for the 4x as my first experiment with the Xiaomi 5.5 size. Hello, Samsung Galaxy c7 or Xiaomi mi 5s? Mi 5s has a lot better specification. But instead, I would recommend getting a Mi 6. It would be worth the extra cash for its Camera and Performance. Do check out the Camera comparison of Mi 6 with iPhone 7 on YouTube. i want to buy wether mi max 2 or mi 5s plus. which one is better for overall performance. i like more bigger screen. and as i played the games before using mi max, performace quite good an the battery is longer. but if the games experience with both this mi max 2 and mi 5s plus is nearly no different maybe i can go for mi5s plus which have better camera? If a bigger display is your first preference then go with Mi Max 2. But if you’re fine with a smaller display then I would recommend choosing Mi 5s for its better specification and camera. If you slightly increase your budget, then you should better go with the latest Mi 6. Overall which is best phone ?? Honor 8 or Moto G5 Plus ?? M gonna buy from either one of dese?? So plzz help me out !!!! Motorola Moto G5+ has a better Camera but Honor 8 has better performance due to the Kirin 950 Processor which has Cortex-A72 cores. If performance is a priority, then pick Honor 8 otherwise Moto G5+. Overall, both are great devices under 20K INR. I dont play games n i want a very good battery back up mobile and camera also…so what is ur priority again ?? Moto G5+ or Honor 8 ?? Battery life would be slightly better on Moto G5 Plus due to 14nm Process and it has a great Camera as well. Go for it! Also, watch a few YouTube videos to get an idea of the design of both the devices. Hi,Leeco le max 2(4GB) vs Lenovo P2(4GB) which one is best? Does chipset impact to photo quality? How do you think abaout mi 5 vs zenfone 3 photo quality? Please suggest a low cost phone with Snapdragon 820, 128GB ROM, +3GB RAM, dedicated/shared slot for memory card. Even though the Lenovo Z2 Plus has far better specification than Redmi Note 4, it has a lot of bugs and has received bad reviews from almost every tech expert. So, I wouldn’t recommend you this device. In this price segment, you can consider buying Redmi Note 4, Mi A1, Moto G5 Plus, or the Huawei Honor 6X. Can you suggest me a good phone under10000 mainly with nice battery life great camera great gaming performance and good screen resolution. As i dont like the redmi note 4 and cant go up than 10000. You can consider the Huawei Honor 6x, Lenovo K6 Power, Lenovo K8 Plus or the Moto G5 Plus. Samsung galaxy edge 7 running on snapdragon 820.
but I found that performance of moto g is better. it does not get hit .. while my Samsung always feel warmer for even normal operations. may be operating system is the factor. Which moto Mobile in India has excellent 12mp+ dual rear cameras, 8 mp front camera,full HD display18:9, with 1080×2160 resolution, 6gb ram, 128 gb internal storage, snapdragon 820 or 821 more than 2 ghz. More than 3000 mah battery available in India. Unfortunately, none of the Moto phones come with all the features that you mentioned. The best Moto device you can get right now is the Moto X4.